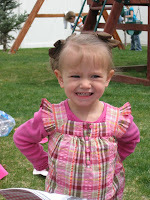 Tews News: Feliz Cumpleaños Lilly! 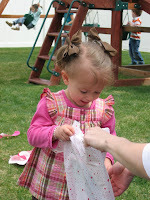 We've had a fun few days celebrating Lilly's 2nd birthday. Yesterday, May 5th, was her birthday. The party started last Friday and didn't stop until bedtime last night. 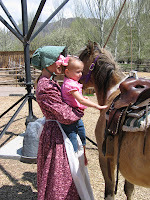 We celebrated her Cinco De Mayo birthday with family, friends, parties and an outing to a pioneer village in Salt Lake. We also made it to the tulip festival which was beautiful. Lilly is truly our little flower. 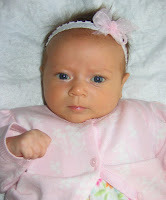 Her sweet and delicate spirit brightens our lives. We love her so much. She is such a blessing. Happy birthday Lilly. It's amazing how fast they grow! Those kids of yours are beautiful! Hi Ryan/Susie - Jason Crawford here. I just found your blog via Carina's blog. Great to catch up with you and your growing family. Congratulations. Looks and sounds as if you're doing great. Happy to hear it. Wish you all the best. I'll be checking in on you every once in a while.